Got a friend’s wedding coming up, and want to look like a celebrity? Check out Flyrobe. 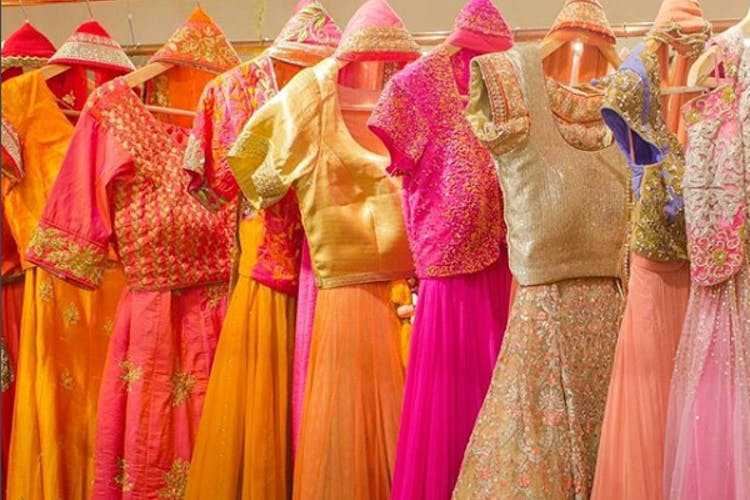 You can rent out designer ethnic wear, gowns, suits, blazers and more for a fraction of their original price. Honestly, who doesn’t love rental services? They’re easy, and they don’t burn a hole in your pockets! Known for its ethnic collection, this company has been a saviour for many a bride (Or her squad) who wanted designer outfits but didn’t want to spend a fortune on it. Check out their vast range of sarees, lehengas, anarkalis, Nehru jackets, kurta-pyjamas as well as sharara sets, pick what you like the best and the size of it. Good news is that the bride and the groom can both find their wedding outfits under the same roof for Flyrobe rents out men’s fashion too. Be it Indo-western, suits, and tuxedos, embroidered sherwanis, kurta-pajama sets or Jodhpuri suits, blazers and Nehru jackets too. They have entire ensembles for men that include clothes and accessories too. Yes, you can also get kundan malas, safas , and stoles here. Oh, if it is a more western look you’re after, you can rent bows, ties, pocket squares, and brooches too. You can also make use of these rented clothes for fancy photoshoots like pre-weddings and during festivals when you don’t want to spend grandly on clothes. It has a prime option where you rent brand new outfits made to fit your size and for 90 days at once. Although some clothes can be delivered within three hours, make reservations in advance as delivery may take time depending on availability.